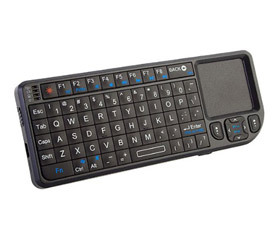 3-in-1 multimedia wireless, back-lit keyboard (Keyboard, TouchPad, LED light). Built-in rechargeable batteries. 2.4GHz USB wireless receiver; works within 30M.